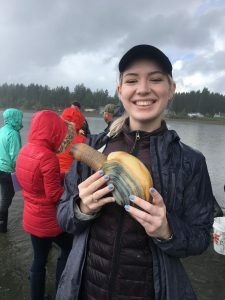 Double major Rachel Fricke is using iBobber, a sonar fish-finding tool to distinguish pathways for invasive aquatic species, including the areas where recreational fishing occurs. 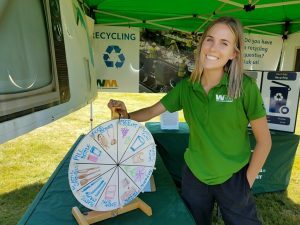 This summer, Brooke Stroosma interned with Waste Management, the largest environmental solutions provider in North America. She learned all about effective waste disposal and conducted outreach to encourage citizens to organize their trash correctly. Who’s paying for WA state parks, who’s not visiting, and what can we do to provide access for all? 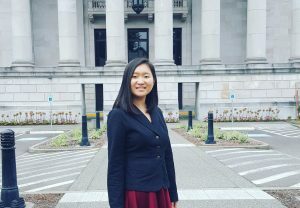 Joy Shang is interning with the WA State Parks Foundation to examine possible disparities between Washington’s increasingly diverse population and park visitors. She’s creating infographics to be shared with the public and policy makers in an effort to raise more funds for our state’s beautiful parks. Carly Lester’s summer Capstone internship led her to work on a farm in the Netherlands and learn the ins and outs of direct farm marketing. 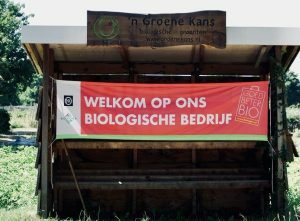 She gained extensive knowledge about the challenges and opportunities of sourcing locally and has big plans for her future career in food. Program on the Environment student Ziyi Liu interned with Seattle Neighborhoods Greenways for his Capstone project, to learn why so few people bike in Seattle’s Chinatown International District, and what factors prevent people from traveling on two wheels. 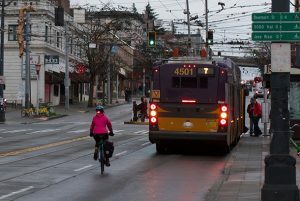 His findings revealed that safety was a huge concern, and that in the International District there are very few protected bike lanes, compared to other busy neighborhoods in Seattle. The Program on the Environment will host our Spring 2018 Capstone Symposium on May 23 at the Fisheries Sciences Building. We welcome all to attend and support students as they present on the culmination of three quarters of hard work. 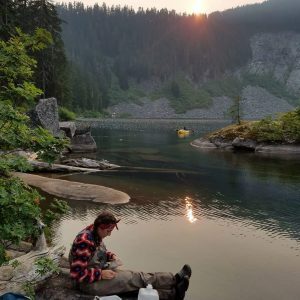 How does funding affect access to state parks in Washington? How can more people get to the parks using public transportation? Environmental Studies major Shelby Logsdon is on a mission to find out, through her senior Capstone project. 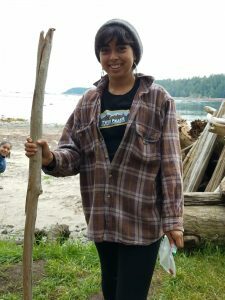 Shelby is interning with Washington State Parks Foundation to collect and analyze data comparing Washington’s state parks to parks in other states, looking at how funding plays a part in facilitating community access and keeping parks well managed. 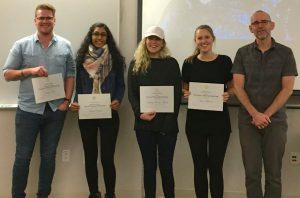 Environmental Studies Capstone winners skillfully cover food security, urban waste design, fishery certification and plant-microbe partnerships. Last week’s Capstone Symposium presenters did not disappoint. With an array of oral and poster presentations showcasing work with business, campus, nonprofit and government partners on topics ranging from global conservation to implementing sustainable practices in corporations, choosing winners was tough. The results are in though (thanks to faculty and alumni judges), and the winning presenters have bragging rights for life. Come learn about the Washington State Legislative Intern Program! This is a paid, for-credit internship opportunity for college students of any major to work as staff at the State Capitol during the Legislative Session (January through March or April). About 70 students are hired each year from colleges around the state. Political experience is not necessary. Students from diverse backgrounds who are active leaders, engaged in campus communities, and excited to learn about government and gain practical job skills are encouraged to apply.